Sweet Crude recently released their new album Créatures through Rhyme & Reason Records on April 21st. It is now for purchase on vinyl and CD here and digitally here. Fans can also stream the album in full on Spotify. 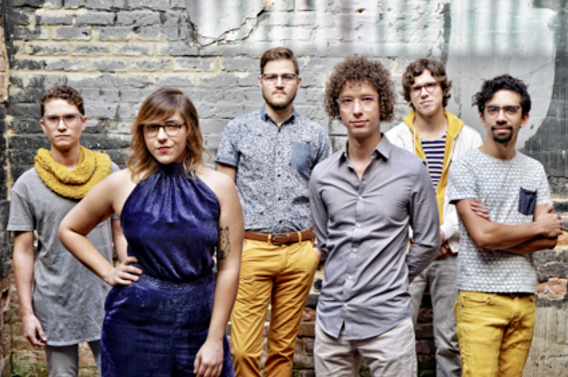 Sweet Crude is a young 6-piece composed of New Orleans musicians creating a sound that sets English and Louisiana’s native French dialect to decidedly non-Cajun music. The band, boasting surnames like Marceaux and Chachere, seeks to reconnect with their lineage in the context of 5-part harmonies, tribal rhythms, and pop hooks. Sweet Crude debuted in Spring 2013 and have hit the ground running. Music from their EP Super Vilaine can be heard in FX’s American Horror Story and the band has been receiving generous amounts of plays nationally and internationally on public, satellite and internet radio. Sweet Crude has tested their frenetic sound on the road, packing venues across the country. They have been praised and featured with publications such as Consequence of Sound, Washington Post, Marie Claire, Brooklyn Vegan, FUSE, PopMatters, and more.